PAWCATUCK, CT USA – Lehvoss North America, a subsidiary of Lehmann & Voss, has introduced LUVOCOM® 8000, a new series of PEEK wear compounds. By substituting traditionally used PTFE with new proprietary additives, the company has made it possible to further elevate the wear resistance of PEEK compounds. Though it is well known that in thermoplastic materials PTFE lowers wear rates, it is not always recognized that it also decreases mechanical properties of the compound. Through research and testing, Lehvoss designed the new LUVOCOM 8000 product line to have a tribological profile significantly surpassing previously known materials while also preserving mechanical performance. 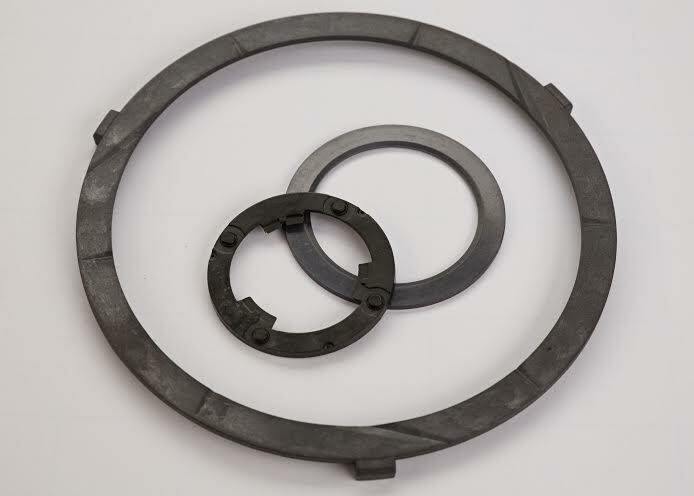 In one case study, thrust washers and bushings were tested with results showing up to three times lower wear rate of the LUVOCOM 8000 series when compared to an industry standard PEEK compound lubricated with PTFE. The 8000 series materials demonstrated lower wear factors (K), showing superior wear performance against metals such as stainless and carbon steels, aluminum, and hardened bearing grade steel. An innovation driven by customer demand, in combination with the detailed knowledge and experience of the company, LUVOCOM 8000 has opened up new opportunities in the automotive, industrial, medical, and energy markets for applications such as thrust washers, bushings, seals and other wear components. For more information about the new LUVOCOM 8000 product line, please call (855) 681-3226 or visit http://lehvoss.net/en/product-groups/lubricant-modified.